First of all, as I’m writing this on a snowy day and refusing to go outside and risk hurting myself on the ice, the irony that I’m writing an article about keeping fit and active and getting out of your chair isn’t lost on me. Joking aside, as translators, I’m quite sure a great deal of us don’t really have exercise or fitness on our to-do list of things we need to do each day. We have our current translation projects, our sites and web presence, getting in touch with prospective clients, continued professional development, invoicing clients, dealing with possible complaints, proofreading projects… the list goes on. That’s not even taking into account our lives outside of translation, where we’ll be doing housework, looking after our families, or even simple things like cooking for ourselves and making time to socialise with people. Then there are translators with children or dependents, who will have even more on their plate, and less time to think about getting some exercise. This isn’t going to be some sort of managerial pep talk, where everyone is held to the same standard and expected to go out and “make time” for exercise, no matter what. 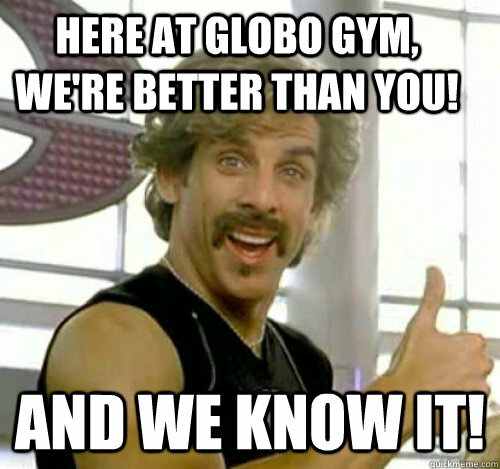 This is the Open Mic, not Globo Gym. That said, I do think exercise is something we should be trying to promote amongst translators, and freelancers or anyone with a sedentary job in general. As freelance translators, we have the luxury of working at home, so there’s no commute! Anyone would agree that that’s extremely convenient, if not extremely enviable. But that’s not a perfect arrangement, since with the removal of a commute, you’re also removing the possibility for exercise. When I used to work in Cambridge, a town where the old, narrow roads are so bad for traffic that you’re better off cycling, I was used to commuting. I used to really hate cycling at 6:15am sometimes, especially in the rain, and more than anything the constant battle against sweating by the time you get to work, or narrowly missing traffic, being yelled at by crazy people, or falling into a stream that one time and feeling so sorry for myself I cried when I got home, but it was also good for me. As a whole, the round trip would equate to about an hour of cycling and fresh air. I didn’t have to make time for it or schedule it, it just happened, because that was life. Nowadays I’m a freelance translator, and my commute is roughly ten steps from my bedroom to my study, and I can go days without leaving the house, which in some ways is a dream come true. But all this can’t possibly be good for me, or anyone else with a sedentary lifestyle. Unfortunately, while I did say I wasn’t going to yell at you all to make time for exercise, that is something that we all have to do to an extent, especially if we don’t have any sort of a commute to worry about, but rather than going on about how much exercise we should do, what sort of exercise we should do, and when to do it or what to eat, here are some simple reasons why it’s a good thing, particularly for us as translators. Beats looking at a screen, right? It can be tricky to plan out your whole day and stick to your own schedule when there’s no-one around to enforce it but you, and speaking from experience I’m absolutely terrible at this, so I tend to just list a few things I’d like to get done in a day, and tackle them in whatever order I feel is best when I get to them. But what about breaks? Sure, we might feel pressured to finish our translation as soon as possible, especially if it’s a tight deadline, and sometimes there really is no time for a break, but whether you’re in the middle of your work or you’ve finished it, your body deserves a break, and so do you. Lazing around on the sofa and watching TV while you drink some tea can be really relaxing, but actually using your body and getting some fresh air really lets you loosen up, de-stress as you get all those worries and thoughts out of your mind, and maybe restore some perspective on the things that matter to you. I also find that exercising is when I get the best ideas, or when a word or phrase I’ve been looking for for ages finally comes to me, so go ahead and try it. 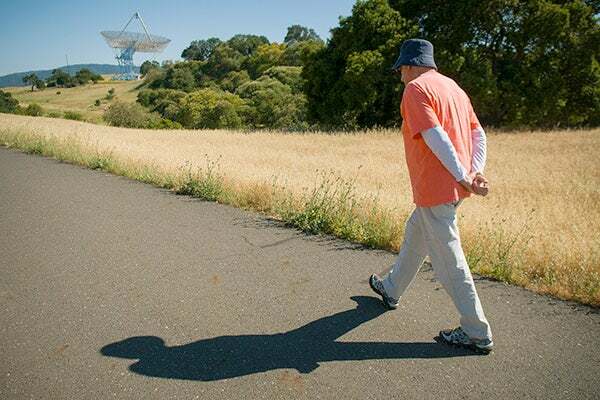 Oh, and while I was finding a good picture of someone walking, I came across this study, which shows that walking actually improves creative thinking, and this ties in nicely with my final point, and probably the most important, which is mental health. One of the biggest drawbacks of being a freelancer, and probably one of the most difficult to tackle, is the lack of a social life. In many places, community life just isn’t a thing anymore, and while plenty of people make friends through work, if you’re working at home, you’re going to meet nobody but clients, or people online. If you exercise, you can go out and meet people, even in passing, and better yet if you join a club (I’ve just joined my local judo club for precisely this reason), you’ll be able to meet new people and make friends. Having a social life is great for your mental health, but in addition, exercise improves your productivity as a translator. So, if it gives your body and mind a much-needed break, makes you more creative, helps you make friends, and fights off loneliness, maybe we’re underestimating the power of exercise, and hopefully this article will inspire more people to do just a tad more- whether it’s a walk around the block before or after your day’s work, or joining a club. If that’s not convinced you, exercise such as walking, hiking, and running are absolutely free. 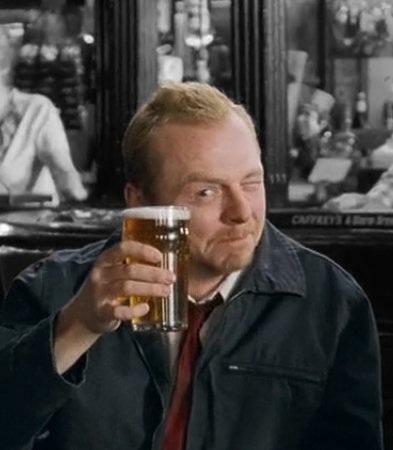 It’s like some sort of magical life hack, except it actually works, and better yet, if you’re with friends, you can nip down the pub afterwards for a cheeky pint, and really feel like you’ve earned it-just don’t try and translate afterwards! I'm a French and Italian to English translator and proofreader, with a specific interest in video games, technology, and all things Japanese. I am always wondering why I cannot find the time and motivation to exercise. There is always a good excuse! Thank you for the great article, Rachel! I recommend exercises for a strong and flexible backbone by Paul Bragg. I do them each morning and it helps a lot! Apart from that, a break in the middle of translation is a must even in case of tight deadlines. You might go on without breaks for a whole day, but you will be really exhausted on the next day. The result is lower productivity, lack of attention to detail, more errors etc. This is an article I wish I wrote myself Exercising is fundamental. I might be an exception, or one of few, but I do have a training program that I stick to to improve my running/trail running. And I don’t have to worry about winter temperatures in the South of France, so I really have the perfect playground for outdoor sports. I actually started doing sports when I switched to translating from home. We have to remember ourselves that we chose/do this job also because it lets us be our own boss, it gives us so much freedom! Yes! This is an overlooked aspect of working from home. I am an avid runner, and I love how freelancing gives me the flexibility to add exercise into my schedule as needed. I know not everyone has exercise as a hobby. I think it is still important for everyone to add in 30 minutes of movement into their day, whether it be cleaning the house, running, or whatever it is that can keep us active.